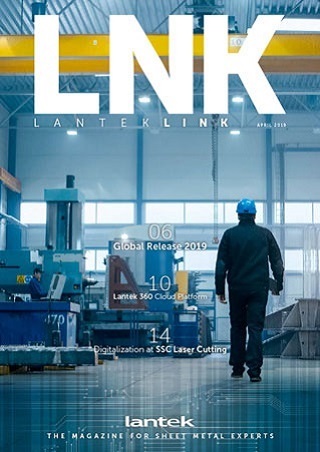 Lantek, as part of its drive to increase efficiency, productivity and profitability through its Metal Digital Transformation technology is introducing three new products specifically aimed towards the sheet metal and fabrication industries. Lantek Analytics is part of Lanteks Synergy concept and analyses both customer and manufacturing KPIs (Key Performance Indicators). The modules come with a set of standard KPIs which have been developed by Lantek through consultation with companies in the industry to meet the vast majority of requirements. However, customers can still specify additional KPIs to suit their individual business needs, tailoring the software to their requirements where necessary. For Lantek Customer Analytics, KPIs include the percentage of accepted quotes, the best customers by accepted quotes and margins, deviation from estimated costs and the history and location of quotes. Lantek Manufacturing Analytics KPIs include availability of equipment, OEE, parts produced and percentage of good parts over a specified period, percentage of remnants over total raw material, stock status and weight of parts produced. A virtual model of the workshop and working practices fit this information analysis exactly to each individual manufacturer. The Lantek Analytics software has been designed to be plug and play for the majority of companies, minimising installation and disruption and ensuring a rapid learning curve so that engineers and managers can benefit from the information very quickly. To further simplify installation, security and maintenance of the software, it resides in the cloud. This offers some significant benefits as it removes the need for costly hardware and the know-how necessary to keep it secure and operational. All these aspects of the system are taken care of in the cloud with military grade data security, updates to the system automatically implemented and access possible from anywhere in the world. With Lantek Analytics, companies can keep track of performance as it happens, and use the information to make decisions on changes to sales strategies, production processes and investment in new equipment based on facts and, in addition, have the ability to predict future performance. To bring customer and supplier closer, two new products Metalshop and iQuote make it possible for sheet metal companies to respond automatically to quotation requests online and for their sales teams to quickly prepare budget prices. Metalshop is the web interface which enables customers to login and submit a request for quotation and place an order online, uploading all the information about material, quantities, required delivery dates, delivery methods and most importantly the geometry of the part itself. This request then sets in motion a series of automated queries within the Lantek software through the iQuote App, for example, the cutting times, the cost of material, stock levels and the margins to be applied. Queries to Lantek MES check the levels of work already going through the workshop and schedule cutting and other operations and outsourced operations to meet the required delivery date. As part of the process, the iQuote App checks for anomalies in the data such as bad CAD data and zero weight of part, creating an alert for user intervention so that an engineer can resolve the problem with the customer. This technology automates all of the quotation and ordering process, delivering accurate quotations to the customer in a matter of minutes and then, with Metalshop, going on to automate order confirmation, release of the order to production, and finally, delivery and invoicing, all through a web interface. Where there is an anomaly in the information engineers will be alerted so that skilled intervention will only be required in exceptional circumstances. The iQuote App is also designed be used on its own as a rapid way for a manufacturer’s sales team to get prices for their customers, making it ideal where large volumes of quotations are required. It uses all the same mechanisms for cost queries as it does when combined with Metalshop, but needs confirmation from the final client before the sales person accepts the order and transfers it to Lantek MES for manufacture. 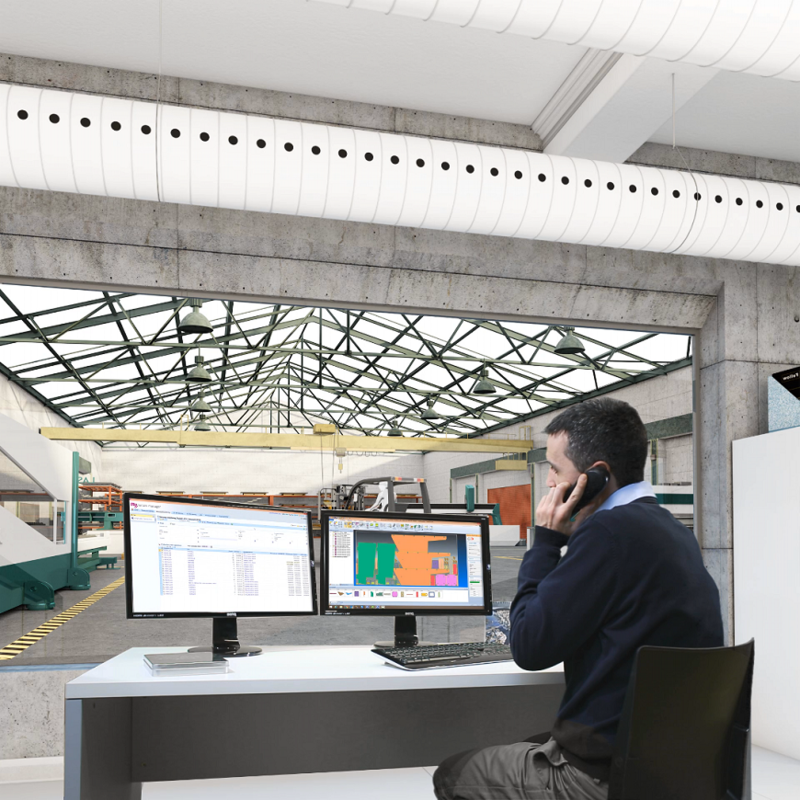 With Lantek’s software sheet metal manufacturers will be able to build up a much closer relationship with their clients by tailoring their responses for the optimum results while making it easy to do business and, at the same time, maximise production performance and profitability with minimum effort. With Lantek, Metal Digital Transformation technology Industry 4.0 is now a reality with substantial benefits for companies making the move.